Oyeniran, Channon. "Rockhead's Paradise". The Canadian Encyclopedia, 01 November 2018, Historica Canada. https://www.thecanadianencyclopedia.ca/en/article/rockheads-paradise. Accessed 23 April 2019. Rockhead’s Paradise was a jazz club in the Little Burgundy neighbourhood of Montreal. The city’s most famous Black nightclub, it was founded in 1928 by entrepreneur Rufus Rockhead. The club hosted such American jazz greats as Louis Armstrong, Billie Holiday, Ella Fitzgerald, Lead Belly, Nina Simone, Fats Waller, Dizzy Gillespie and Sammy Davis Jr. It also helped launch the careers of local talents such as Oscar Peterson, Oliver Jones and Billy Georgette. Rufus Nathaniel Rockhead was born in Maroon Town, Jamaica, around 1896. He came from a long line of Maroons, who fought for their independence and freedom from British rule in Jamaica during centuries of slavery. At age 22, Rockhead sailed to Halifax and made his way to Montreal. On 29 January 1918, he joined the Canadian Army and served in the Infantry as a private first-class with the 1st Depot Battalion of the 1st Quebec Regiment. Rockhead served in France during the First World War. He received a British War Medal and a Victory Medal for his service (see also Medal). On 19 March 1919, he returned home to Montreal, where he was discharged. He ran a shoeshine stand before becoming a sleeping car porter for the Canadian Pacific Railway	— one of the few jobs open to Black men in Canada at the time. During his eight years as a porter, Rockhead worked the Montreal to Chicago route and ran a lucrative side business smuggling bootleg liquor into the United States during prohibition. Rockhead’s job as a porter came to an end sometime in 1927. That same year, he married his wife, Elizabeth (Bertie). They had three children: Kenneth, Jacqueline and Arvella. With the money he had saved from selling liquor in the US, Rockhead pursued a lifelong dream of opening his own bar and nightclub, featuring a live band, various musical acts and dancing. It was only natural that he opened a business catering to the popularity of jazz, as most of the country’s jazz music at that time was performed and recorded in Montreal. Rockhead bought a three-storey, red brick building at the corner of Mountain and Saint-Antoine in Little Burgundy. He turned the first floor into a tavern and lunch counter, converted the second floor into a dining room, and operated a 15-room hotel on the third floor. However, municipal and provincial officials were not in favour of Black people owning bars and it took Rockhead 11 months to get a beer permit. He opened Rockhead’s Paradise as a club serving beer and wine in 1930. In 1935, after five years of trying to obtain a permit, Rockhead’s Paradise became a cocktail bar. With prohibition still in effect in the US, many American tourists and jazz musicians flocked to Montreal, which became known as the nightclub capital of Canada. Rockhead’s Paradise achieved significant success during its peak years, from 1930 until about 1950, although it remained a popular fixture in Montreal’s cultural scene for many decades. American jazz legends such as Louis Armstrong, Billie Holiday, Ella Fitzgerald, Lead Belly, Nina Simone, Fats Waller, Dizzy Gillespie and Sammy Davis Jr. performed at the club. Rockhead’s Paradise also hosted the likes of American boxer Joe Louis and the Harlem Globetrotters basketball	team. Despite a hostile climate towards Black people in both Canada and the US, Rockhead’s Paradise provided a safe place for Black people in Montreal. 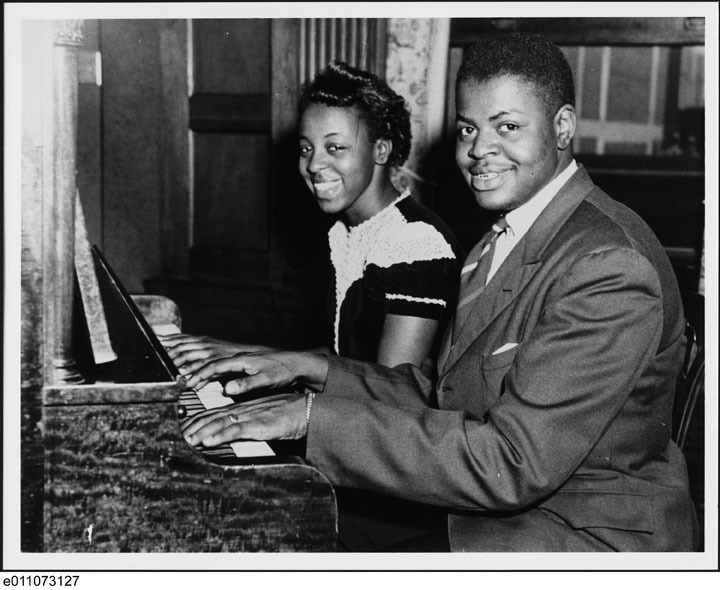 The club also gave many up-and-coming musicians, most notably famed Canadian jazz pianists Oscar Peterson and Oliver Jones, the opportunity to hone their skills. Rockhead’s cocktail lounge closed for nine years and reopened in the 1960s. However, by then the times had changed in the music scene and Rockhead struggled to keep the club open. The Saint-Antoine district, where the club was located, was suffering from urban decay and the once-famous corner of Mountain and Saint-Antoine was no longer a popular centre for nightlife. A brief revival of sorts occurred after Rufus handed management of the club over to his son, Kenneth, who began showcasing soul, Motown and R&B music. However, Kenneth sold the club in 1980 to a young Black Guyanese native and entrepreneur named Rouè Doudou Boicel. Rouè Doudou Boicel, a strong advocate and supporter of jazz, founded the Rising Sun Celebrity Jazz Club in 1975. When he bought Rockhead’s Paradise in 1980, he moved the Rising Sun to its location. Rouè’s jazz club became a popular spot for jazz and blues. Just like Rockhead’s Paradise in its glory days, the Rising Sun Celebrity Jazz Club featured famous jazz and blues musicians from Canada and the United States. However, due to a large amount of debt that Rockhead’s Paradise incurred in its latter years, Rouè had to move the club back to its original location on Sainte-Catherine Street West. Rufus Rockhead immigrated to Canada at a time when the country was restricting	Black immigration and settled in a city that disapproved of Black people owning businesses. Not only did Rockhead create a thriving business, he also nurtured the careers of many young Black musicians who did not have the opportunity to showcase their talents elsewhere. Rockhead passed away on 23 September 1981 at the Sainte-Anne-de-Bellevue veterans hospital in Quebec. In 1989, Montreal memorialized him by naming a street, Rue Rufus-Rockhead, after him in the Little Burgundy neighbourhood of Montreal.